Within the UK there are a number of mobility support and other transport-related benefits available to those suffering from a disability or debilitating health issue. Some or all may be applicable to CSF Leak and Intracranial Hypotension suffers. We have provided a brief background to the three key benefits available, but strongly recommend that you follow the links to ensure that you have access to the most up-to-date information. Purchase must be made via an accredited dealership and once approved the vehicle is paid for using the mobility allowance. Depending on the cost of the vehicle, additional contributions may be necessary. 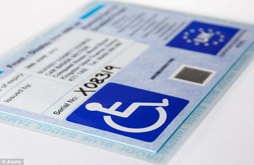 The Blue Badge Scheme is long-standing and important service for people with severe mobility problems that enables badge holders to park close to where they need to go, such as shops, hospitals and offices. A blue badge can be of enormous benefit to someone with a CSF Leak and Intracranial Hypotension given the impact that severe headaches, vertigo, visual disturbance etc. can have on mobility. While leakers may be able to stand and walk in theory, the extreme pain, discomfort and risk of exacerbating symptoms and the condition in general by walking any distance makes applying for a badge a sensible move. It is, however, important to note that because CSF Leaks and Intracranial Hypotension are not widely understood, it is extremely important that you carefully and comprehensively outline your symptoms and ensure that you clearly describe the severe impact that these conditions can have on your mobility. Do not assume that the person assessing your application will understand your condition; in many cases, they will not. If your application is refused, do not lose heart. You can and should appeal. This is a free process and it is understood that a high number of appeals are allowed. You may also wish to consider including a letter of support from your GP, neurologist or occupational health assessor with your application or appeal, although some Council may say that they cannot consider such submissions. 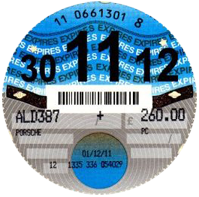 The scheme operates throughout the UK, albeit there are different regulations in Scotland and Northern Ireland, and is administered by local authorities who deal with applications and decide whether or not to issue badges. The parking relaxations afforded by a blue badge apply to on-street parking, although supermarkets often cater for disabled drivers and in many areas Council car parks spaces will be available to blue badge holders (although they may still have to pay parking charges). In all parts of the UK, blue badge holders may park for free and for as long as they need to at on-street parking meters and pay-and-display machines. In England and Wales, badge holders may park on single or double yellow lines for up to three hours, except where there is a ban on loading or unloading. Where there is a time limit, the ‘parking clock’ must be set to time of arrival alongside the blue badge; you may get a parking ticket if you don’t display both. In Scotland, there is no time limit for parking on yellow lines and you do not need to display a ‘parking clock’.